Jane Graves is the author of eighteen contemporary romance novels. 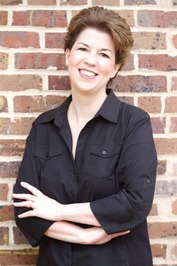 She is a nine-time finalist for Romance Writers of America's Rita Award, the industry's highest honor, and is the recipient of two National Readers' Choice Awards, the Booksellers' Best Award, and the Golden Quill, among others. Jane’s books have been translated into more than a dozen languages, and several of her books have appeared on the Barnes & Noble Bestseller List. Jane lives in the Dallas area with her husband and a beautiful but crafty cat who rules the household with one paw tied behind her back. 2. Jane went all the way through pre-med, then decided against med school. She eventually put her first college degree to use and became a writer. 3. Jane once set fire to her office. Her husband keeps 911 on speed dial and prays a lot. 4. Jane loves Christmas and has a tree with over 300 ornaments. 5. 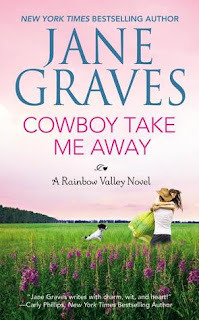 Nine of Jane's books have been nominated for Romance Writers of America's Rita Award, the romance industry's highest honor. None of them have won. Let the Susan Lucci jokes begin. Bad boy Luke Dawson shook the dust from this little town off his boots years ago. He walked away from everything...except the memory of the one night of passion he shared with Shannon. Now, a few wins away from becoming the world bull-riding champion, Luke's headed for fame and fortune. But then a crisis calls him back to Rainbow Valley, and Luke is reunited with the good girl who stole--and broke--his heart. As their rekindled relationship deepens into desire, old secrets resurface, and Luke must choose between the future he's always dreamed of and the only woman he's ever loved. - Only residents of the US and Canada who are 18 years of age or older are eligible. Winner will be randomly chosen. Only one prize per person and/or per address. Giveaway ends on May 2nd, midnight Eastern time. Winners will be posted on my blog and notified by email. Winners will have 48 hours to respond before another winner will be selected. Good Luck! strength and intregrity : ) Congrats to jane on the new release! For me I think it's got to be loyalty,strength, and heart. This book sounds interesting! Best of luck with it!